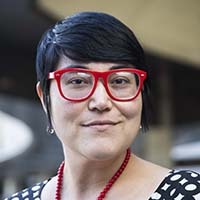 Dr. Fumiko Chino is a researcher at Duke Cancer Institute who focuses on health care disparities and patient outcomes, including financial toxicity, insurance disparities, radiation utilization and end-of-life care. Her personal story of navigating cancer treatment for her late husband and the cost burdens that cancer patients can experience has shaped her work to optimize cancer treatment processes and costs to improve patient experience and decrease disparities in the delivery of high quality, high-value care. What attracted you to the Fellow position for the Teaching Value in Healthcare Learning Network? The Fellowship with the Learning Network is the perfect opportunity to blend two of my passions, value and education. I have been incredibly impressed by the work that the Costs of Care team has done to promote high-value care across the medical landscape – from patient to health system. The Fellow position gives me access to the visionaries in this field and an opportunity to develop my own voice in this complex and evolving world of cost-conscious care. Your research focuses on financial toxicity in cancer care. Why/how is this topic important to a patient’s health? Financial toxicity is a term coined to describe the side effects that out-of-pocket costs have on our patients. Cancer patients are particularly at risk given the meteoric rise of the costs of cancer care in America. Studying the risks of financial toxicity in our patients is essential because high costs can increase symptom burden, decrease satisfaction, and ultimately compromise cancer outcomes. In other words, some cancer patients are going bankrupt, losing their homes and giving up their family’s financial security in order to afford their care; some patients are electing not to receive care at all. Financial toxicity doesn’t have an easy solution but the first step is acknowledging the problem. 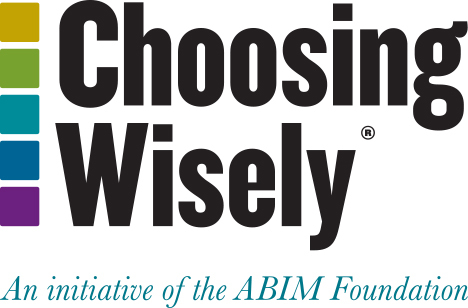 In what ways does/can your research intersect with the Choosing Wisely campaign? My research focuses on patient costs, shared-decision making, health care utilization and end-of-life care. These are all aligned with the overarching Choosing Wisely focus on improving conversations between clinicians and patients to ensure that all care is evidence based with benefits that outweigh the risks. This is particularly important in cancer care as prior research has shown that patients with aggressive cancers may not know their cancers have little chance for cure. Their sacrifice of time, money and symptoms for treatments may not be aligned with their actual goals of care if we were able to have open, honest and thoughtful communication about prognosis and excepted benefit. How can your research help patients and health care providers? My hope is that my research can lead to more open communication. I have, sadly, personal experience from both sides of these difficult conversations. The excruciating costs of my husband’s cancer treatment had discrete effects on our quality of life and some of our treatment decisions; after his death, I carried the financial toll for years. I hope that the insight that I have gained as a caregiver and the research strength I am building can lead to evidence based solutions and an improved shared-decision making model. What do you hope to achieve as this year’s learning network Fellow? I’m excited about working with thought leaders in the field of high value care. I think true interdisciplinary partnership is the only solution to fully caring for the patient and I’m so honored to find a place in this team. I am excited to start a year focused on patient and provider education to improve shared-decision making and decrease low value care. My ultimate goal is to build a network of lifelong collaborators to continue this mission into my academic career.